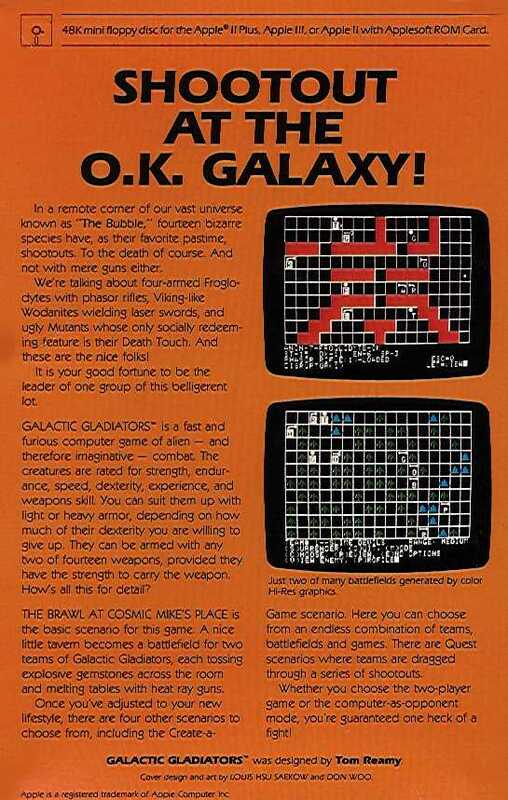 Notes Galactic Gladiators is a fast and furious computer game of alien- and therefore imaginative- combat. The creatures are rated for strength, endurance, speed, dexterity, experience, and weapons skill. You can suit them up with light or heavy armor, depending on how much of their dexterity you are willing to give up. They can be armed with any two of fourteen weapons, provided they have the strength to carry the weapon. How's all this for detail?The Brawl at Cosmic Mike's Place is the basic scenario for this game. 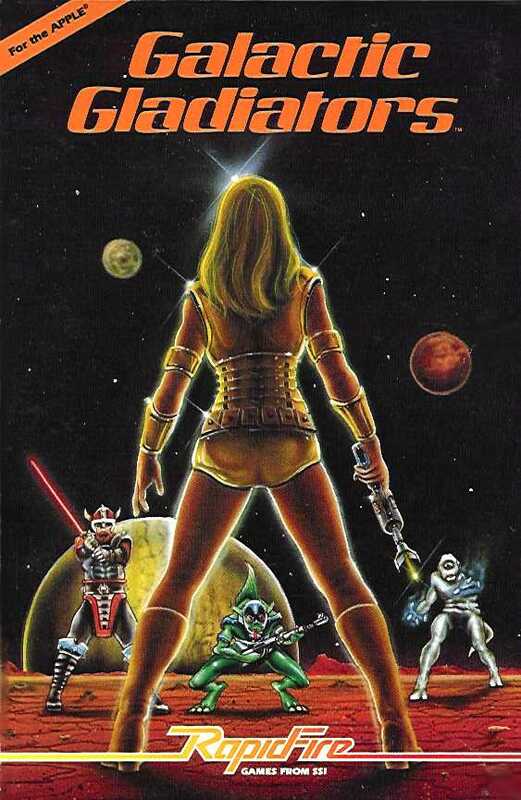 A nice little tavern becomes a battlefield for two teams of Galactic Gladiators, each tossing explosive gemstones across the room and melting tables with heat ray guns.Once you've adjusted to your new lifestyle there are four other scenarios to choose from, including the Create-a-Game scenario. Here you can choose from an endless combination of teams, battlefields and games. There are Quest scenarios where teams are dragged through a series of shootouts.Whether you choose the two-player game or the computer-as-opponent mode, you're guaranteed one heck of a fight!